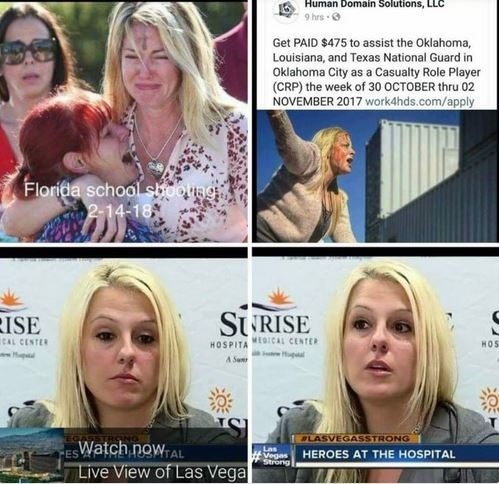 Benjamin Kelly, the district secretary for Florida House of Representatives member Shawn Harrison (R-District 63), sent an email to Tampa Bay Times reporter Alex Leary asserting that Hogg and Gonzalez are crisis actors. Harrison immediately fired Kelly. Minutes after this post was published, a reader posted this on FOTM‘s Facebook page — David Hogg is not a Douglas High School student as he claims. 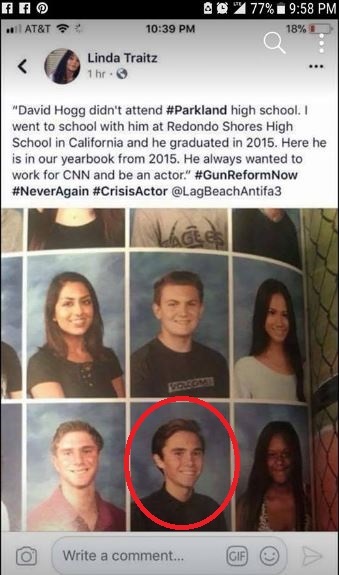 For more on Hogg, see “Florida Parkland School shooting survivor David Hogg is a fraud,” especially Hogg’s page on Classmates.com, indicating he had graduated from Redondo Shores High School in 2015. The $800,000,000 that Parkland & other schools officials are hiding. WATCH the video. Smart 19 y.o. man. Poor guy, FL Gov Rick Scott is ignoring Kenneth’s reporting, school super stated his reports are “damaging and hurtful” and then she denied his education. Bumped him out of school. What kind of people, these are not people, they’re greedy HOGGS.